In our rapidly changing world, too many communities are being left on the wrong side of the “Digital Divide,” a concept which describes the unequal access to the internet drawn down socioeconomic lines. With the internet becoming more and more central to daily life, disadvantaged communities are turning to mobile devices more than ever to provide them access to critical online services. Providing these communities with access to a robust, widespread wireless infrastructure network is a vital step towards reducing existing social inequality and closing the Digital Divide. 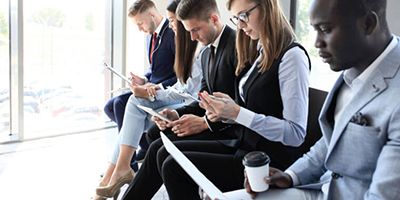 80 percent of recent job seekers say they use online information in their most recent search for a job, with a third of them saying that online access was the most important resource in their search. Low-income households who can’t afford both mobile and wired internet access are far more likely to opt for the mobile option, meaning their personal devices are their only access to the internet. Groups who depend on mobile devices for internet access are far more likely to rely on these services for critical life functions, including questions about health conditions, online banking, applying for jobs, accessing government services and viewing educational material. A robust wireless network is critical to expanding access to everyone, including underserved communities, to ensure a level playing field for all. Join our coalition to make your voice heard, and to let your local decision makers know that we need Wireless Infrastructure Now!